Anything and everything pertaining to being a veggie in the 'Burgh! vegan offerings on their lunch buffet! Last week’s lunch expedition lead us to Indian Garden on Atwood in Oakland. We had orginally set out to have lunch at a neighbor of India Garden, Mi Ranchito Mexican Restaurant who we found closed till Jan 2nd. As our luck would have it, India Garden’s almost vegan lunch buffet awaited us. We were greeted at the door by a man who I assumed was the owner. We sat down and ordered some tea to help us warm up. The tea was a delicious Masala Chai- if you don’t eat (or drink) dairy, be warned that this comes standard with milk. We then made our way up to the buffet. It was a large spread of mostly vegan dishes, all were well marked. 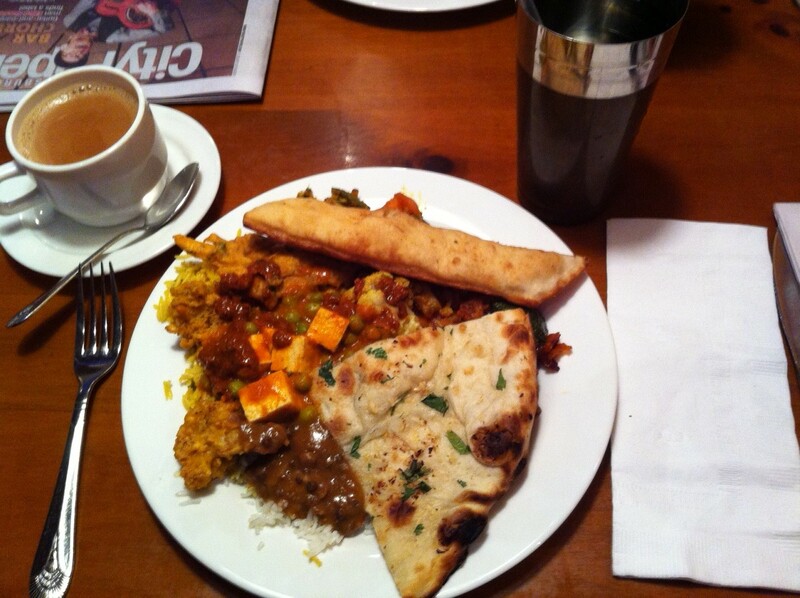 They had lots of lentil and chickpea dishes, some paneer dishes, and the always welcome fried veggie dish. They also had a dish that I have never had in an Indian restaurant before. It was in kind-of an Indian BBQ sauce with veggies. Whatever it was, it was TASTY! They only had two meat dishes- one chicken and one lamb. The buffet had two bread offerings- garlic nan and poori, which were both good and clearly homemade. Overall, this was one of the better Indian buffets that I have been to. Our bill in total was $25.00 for two buffets and two masala chai teas. A bit pricy for lunch, but the food was fresh and very, very veggie friendly! 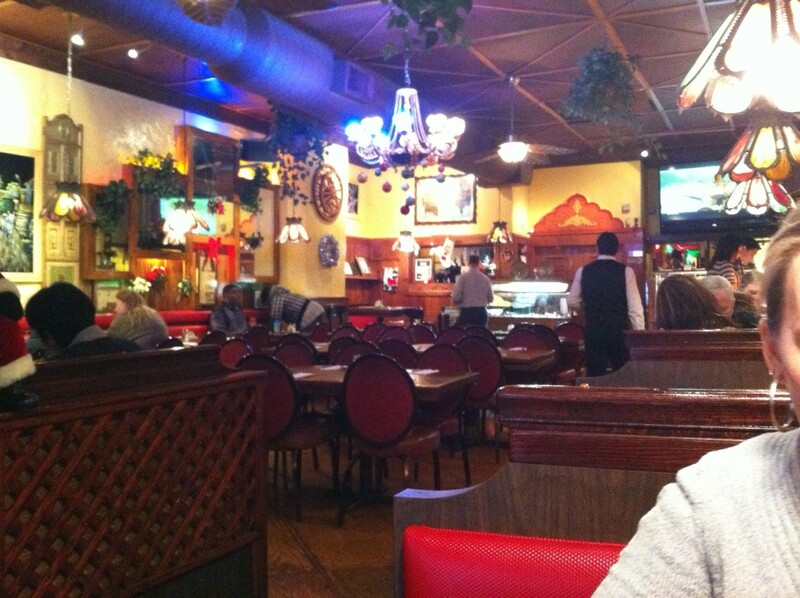 This is our favorite Indian restaurant in the city. Very consistent and good. Authentic decorations and music. For a good night out with friends, head to D’s!